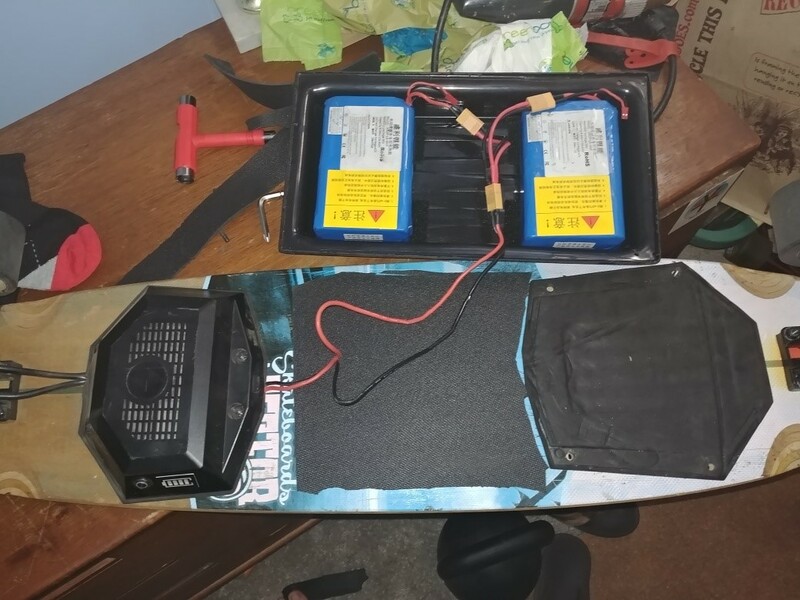 Home Battery Mods Meepo Extra Battery / Mileage Mod with 15-20 Miles EXTRA! The Meepo is a beast. Did a board swap the day I got it. Range just wasn’t enough. 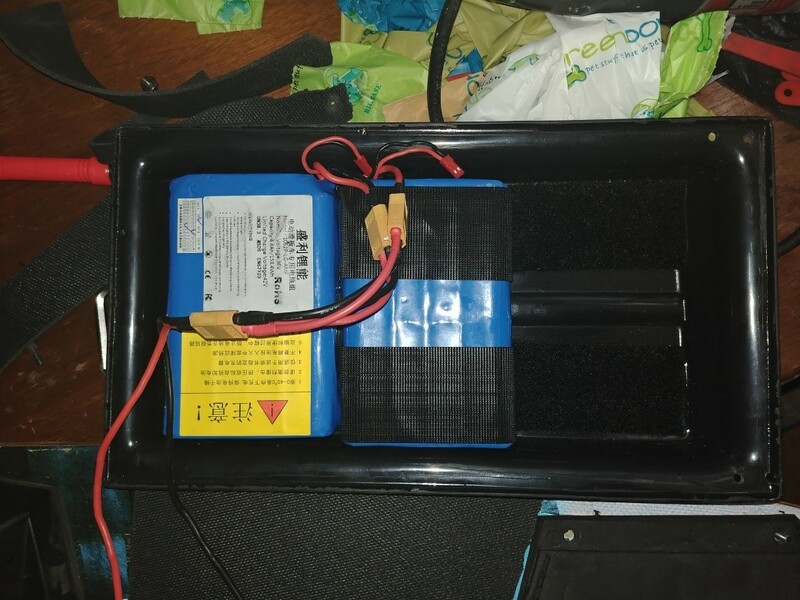 Put my 2 battery’s in parallel, used a Psycotiller enclosure with some velcro. Now I get top speed full throttle for like 10 miles. Havn’t done a full range test yet. Still deciding on full mounting options. 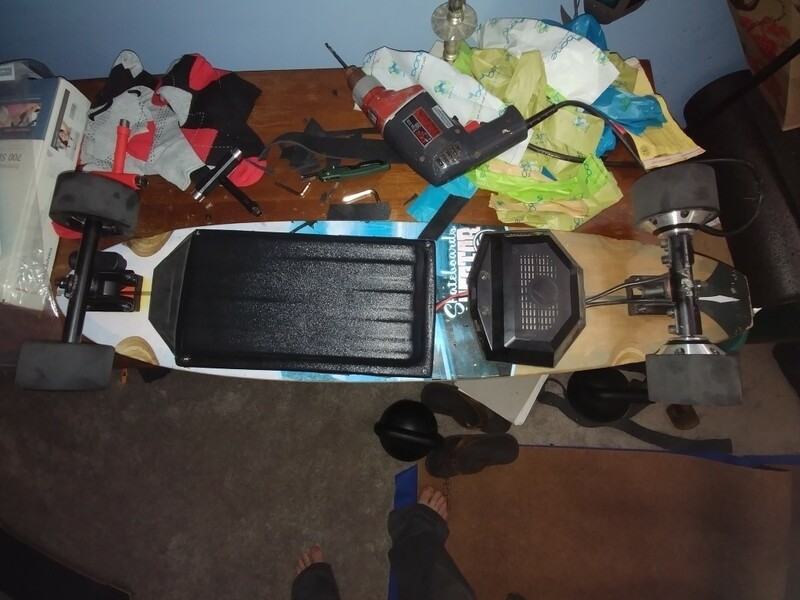 Cost: Meepo(360/now 400) Extra Battery(73) Psycotiller case(63) =496 for a 20mph beast with 15-20 mile range. Would cost you 540 to do the same. If it was this or backfire 2 for 500, I would pick this. It has more torque, same top speed, double the range. Could even fit another 10s2p pack in this enclosure for a fkin tank of a long range board for 620. Previous articleExtra waterproof foam pads now being included for new Meepo orders.